Forte performed an analysis on the state of the industry as it relates to site payments, and recognized the sponsors that pay sites promptly at the MAGI West Clinical Research Conference. 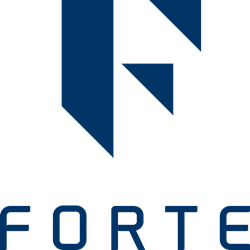 Forte, an industry-leading developer of clinical research solutions, helped announce the winners of the 2017 Fall MAGI Award for Excellence in Site Payments at MAGI’s Clinical Research Conference on November 12, 2017 in San Francisco, CA. Forte partnered with MAGI to further analyze industry trends in site payments and to celebrate and recognize sponsors and CROs that pay sites promptly and consistently. Over 40,000 payment records were contributed by Forte site customers for the analysis. Dr. Wendy Tate, Director of Analytics at Forte, curated and analyzed the data to identify trends and averages in timeliness and consistency of payments made to sites. Forte team members also further investigated trends of extremely delayed site payments identified in the 2017 Spring MAGI Award for Excellence in Site Payments through a survey of 125 sites and five sponsors. Forte’s Senior Vice President of Operations, Orla Mester, presented the awards to the sponsors in attendance during the conference opening. Winner, Most Consistently Timely Payments over the last two years – Eisai, Inc.
"While we are honored to receive this recognition, we are also keenly aware that prompt payments are a result of a team effort by Eisai, Inc., our investigative sites and our vendors. We are fortunate enough to have great relationships with our partners, and will strive for continuous improvements in this area,” said Asher Miller, Sr. Manager, Clinical Operations Oncology, Eisai Inc.
MAGI and Forte also recognized additional study sponsors for paying sites within a median average of under 90 days in 2016: AbbVie, AstraZeneca, Gilead Sciences, Merck Sharp & Dohme Corp., Novartis, Plexxikon. Other sponsors might also meet this standard as the database expands to support a broader analysis. “On behalf of the sites, I want to thank these companies and other study sponsors that pay sites in a timely manner.” said MAGI Chairman, Norman Goldfarb. Laura Hilty, Vice President of Product Management at Forte, and Shaun Williams, Senior Director of Investigator Payments at INC Research, shared the results of the analysis and notable trends within site payments at MAGI on Monday, November 13, during the presentation, “Sponsor Payments to Sites: What Can We Do to Speed Up the Slowest Payments?” New data on payment collection timelines and extremely delayed site payments bring to light inefficiencies within the industry and strained relationships between sponsors and sites. By recognizing sponsors who pay sites in a timely and consistent manner, all stakeholders are motivated to improve processes as they relate to site payments. Learn more information about the rationale and methodology behind the award.